Photo: Local children make their way through flood waters on the way to school. Today we bring you urgent news from our native team in Myanmar. 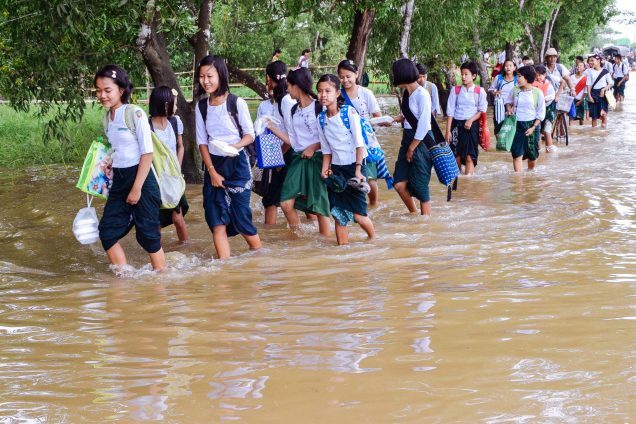 Residents of the country’s low-lying delta region braced themselves last week as flood waters from the north began to flow into the area, pushing river levels dangerously high. More than 250,000 people have been affected and 69 killed by flooding that was triggered last week by monsoon rains. The flood affected our orphan home as well, but not nearly as bad as if we had not prepared for the rainy season earlier this year. Thanks to your support we flood-proofed our orphan home by bringing in several tons of dirt to raise the entire level of the property along with a new brick perimeter wall to keep area rain-flow from pooling into our space. In addition to our flood-proofing project, we were able to make several repairs and improvements on the main buildings to further help guard against the heavy rains of the monsoon season. One of the problems with the monsoon flooding and subsequent pooling of stagnant water at our main campus home is that mosquitoes breed rampantly, in addition to the problem of water snakes, and the risk of cholera and other water-borne diseases. By raising the level of the property and building a wall around the campus, we further restrained flood waters from entering our property, and significantly reduced the breeding potential of mosquitoes on campus. Sadly, our field director, Hung Ling, and many of the children are sick with malaria and other illnesses due to the recent heavy rains. All of them have seen a doctor, but we ask for your prayers for their health and healing. Thankfully, there is good news amid this tragedy: Thanks to our rice farm we have plenty of rations safely stockpiled while food supply problems are challenging in the country. Our farmland enterprise produces several tons of rice each year, and along with our piggery project, our native team in Myanmar is able to serve almost 300 meals each day to orphans and staff in four different homes in the country. The farmland not only provides fresh staple ingredients for their meals, but also produces a lucrative profit to create important funding for things like school supplies for the children. 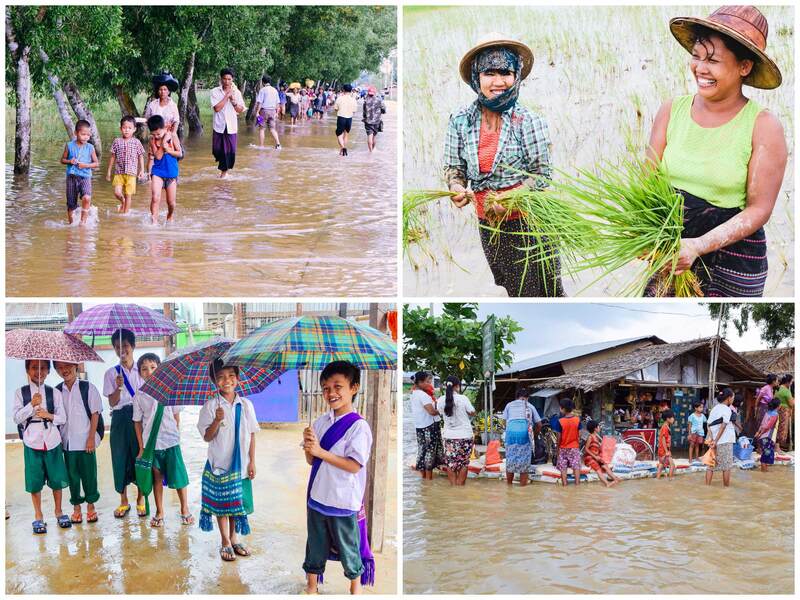 We also hope to provide relief to thousands of people in Myanmar who were not as fortunate this rainy season. Our plans include providing food, medicine, and clean water from our filtration system. Please keep our children, our native team, and the residents of Myanmar in your prayers. Our native team’s other prayer requests include the provision of a washing machine, a rice cooker, cooking gas, new mosquito nets, and blankets. We are grateful for the contributions of our generous donors, and your faithful support.